The Albér MPM-100 battery monitor is a diagnostic system designed for lower cell count applications such as telecom or stationary battery systems. It identifies potential data center battery problems by continuously monitoring parameters such as cell voltage, overall string voltage, current and temperature. Automatic periodic tests of battery internal resistance verify the operating integrity of the battery. The Albér MPM-100 accommodates more than 80 different battery configurations and can be modified for nonstandard configurations. With its automatic polling and data transfer algorithms, the MPM Battery Monitor Data Manager (BMDM) software enables a central computer to manage over 1,000 battery systems. 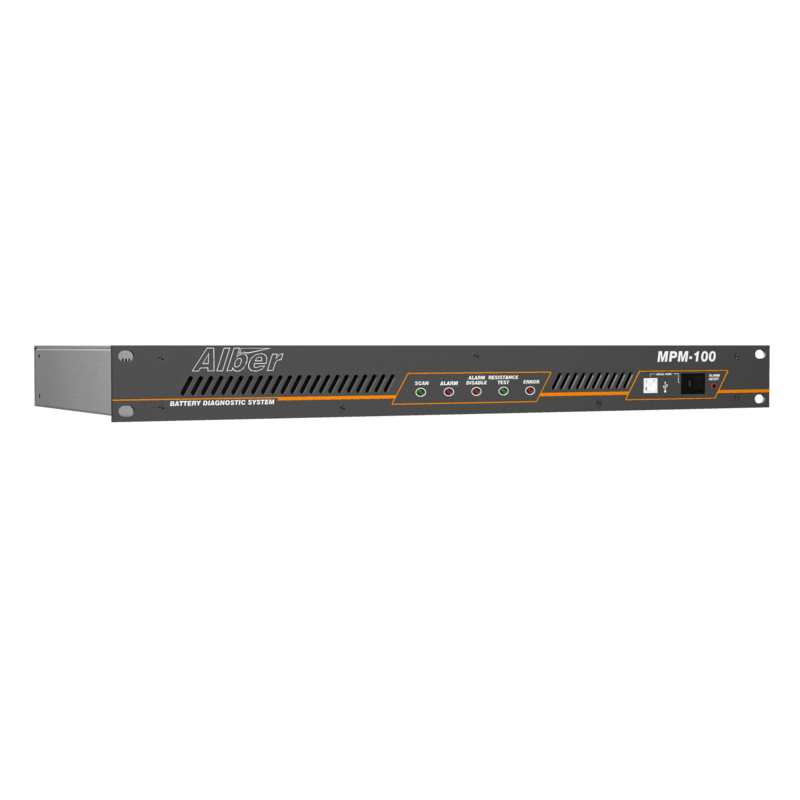 19″ or 23″ rackmount. Connection to a monitoring site via the network or through the internal modem, or locally to a computer via the RS-232/USB port. A time-to-go estimate algorithm assists in predicting remaining battery life. Optimizes useful battery life — Instead of waiting for an inevitable failure or replacing batteries prematurely to prevent problems, users can continue to utilize the batteries longer and with confidence by knowing the true internal condition.